THIS SALE IS PREDOMINANTLY CLOTHING, but there will be sale shoes available. Bring CASH as credit cards will be a P.I.T.A. 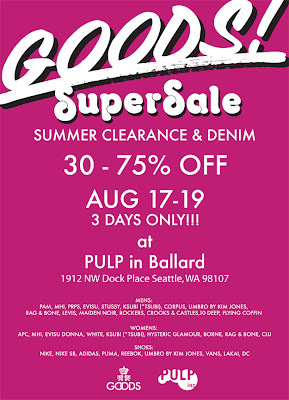 And just to be clear, THE SALE IS NOT AT THE PIKE ST. STORES! 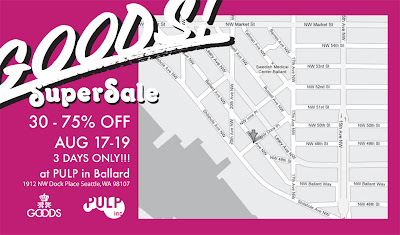 So come spend an afternoon in scenic Ballard, have some Aquavit and meatballs then come to PULP & save a bundle on your favorite brands!